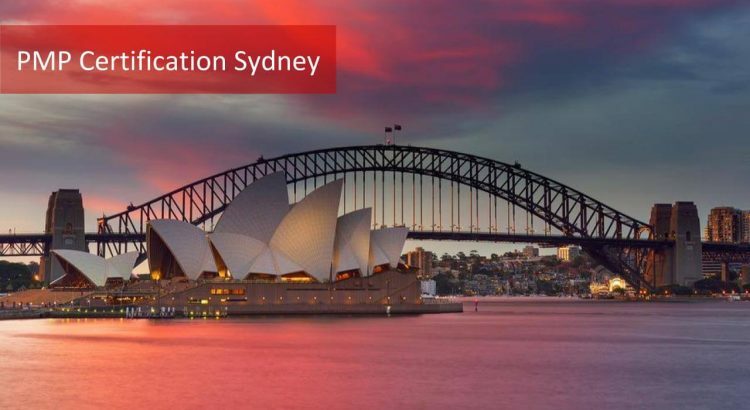 Are you project manager living in Sydney? Or do you want to make a progress in your career related to the project management field? In this article, we are going to list the PMP certification Sydney training options. We will go through the top 10 PMP training Sydney options and list pros and cons of each. However, first, let’s have a look why PMP certification is such an important credential. To move forward in your project management career, even with the right skills and knowledge, it often takes more than an impressive resume. Employers want to know if professionals can actually perform the work required to successfully manage the projects. That’s why many employers typically prefer candidates with PMP Certification from Project Management Institute (PMI). In certain industries, such as manufacturing, financial services and construction, PMP certification is a must-have to even be considered for a position. With a first attempt success rate of 99.6%, we have created a 7-step PMP study plan that helps over 50,000 professionals in more than 180 countries. Read this PMP study plan and create your own PMP prep plan. The PMP Certification is recognized worldwide as the industry standard certification for project managers. It is truly global as it is regardless of geography, domain, industry, methodology. Earning the PMP credential validates your professional knowledge and capabilities. It can also demonstrate to employers that you have the experience they require. As per the market survey, individuals who are PMP certified professionals earn 20% higher salary than non-certified PMPs and can position you for upper-level jobs. Hence if you as an individual is working as a project manager in Sydney or plan to venture in project management, this is the certification which should be planned and attained. In this article, we will review various options for PMP certification Sydney training which will help you to determine the best training provider along with different aspects. The preparation for PMP exam requires a robust study plan to get the PMP Certification. It also requires 35 hours of project management education or PMP education in order to apply for the PMP Exam. This is a must PMP exam prep step. Now, as you know, 35 PDUs is one of the PMP prerequisites to appear for PMP exam, so you’ll need a training provider. If you are at the stage where you are looking for training providers that means you have already taken the first step towards certification. But choosing the right PMP Training Provider is a challenge. Hence, you must be also confused about choosing the right PMP exam prep Sydney training provider. Below, we have listed the 10 best PMP exam prep Sydney options for you. After reviewing our list you can choose the best PMP exam prep Sydney training option for yourself! #1 PMP Training Sydney – Master of Project Academy, Inc.
We will include our platform as the first PMP training Sydney provider. However, in order to provide an unbiased review of all PMP training providers in Sydney, we will not provide any review for our platform. Master of Project Academy is the #1 affordable and flexible Sydney PMP training provider with 99.6% first attempt pass rate. Note that, 99.6% is the first attempt pass rate of Master of Project Academy students. Master of Project does not count second or third attempt passes in “pass rate” ratio unlike other PMP training providers. Besides, this is a weekly updated, audited and backed up pass rate ratio in footer of Master of Project Academy homepage. Master of Project Academy offers weekdays and weekend Virtual PMP training sessions. Duration of the PMP course is 4 days and 35 contact hours. Weekday sessions start on every Monday and end on Thursday. Weekend sessions start biweekly on Saturdays and ends in two weekends (Saturday & Sunday). You can learn more about PMP Online Class options from the link below. PMP success stories of Master of Project Academy proves the quality of this PMP certification Sydney training option. Don Wheeler is one of the several PMP success stories of Master of Project Academy. Don passed the PMP exam successfully with the PMP training from Master of Project Academy and he scored “Above Target” on all five domains of the PMP exam. This is the highest score where a PMP candidate can get from the PMP exam. You can read Don’s PMP success story. NetCBT, Inc., which runs the PDUNOW site, is a PMP Training Sydney provider. They provide the online courses only, which provides an individual to prepare at its own pace. However, the online experience with PDUNOW is bit old fashioned and not that convenient and user-friendly. They offer 67 courses in total, which means their focus area is not only PMP which is a negative point. They offer unlimited PDUs for $149.99 via accessing any course. These courses may help you to develop your skills and earn PDUs which are required for PMP renewal. However, they will not prepare you for PMP exam as a PMP exam course will do. This is another provider for PMP training Sydney. It has a better online platform than the previous one, but their area of expertise is not only to offer trainings. They also offer various other services like Project execution, Project Auditing, PMO Setup, Business Process Mapping, Consultancy services, Business Transformation, 5s Implementation etc. So, this PMP certification Sydney option provides consultancy services more than PMP training options. Furthermore, their trainings are not only limited to project management. They conduct training for various other domains like Big Data, PMP, Lean Six Sigma, PMI-ACP, PMI-RMP, ITIL, Professional in Business Analysis etc. Therefore, their sole area of focus is not on project management, but very diversified, which dilutes the vision of becoming the leader in PMP Training Sydney. For PMP, they offer 4 day classroom course at 1,799 AUD which is quite a high price. Moreover, attending classroom training on weekdays is difficult for office goers. They need to take days off in order to attend training and have to tradeoff between work and training. Besides, for working professionals, online learning is the best mode to prepare for the PMP exam. So that they can learn at their own pace and can manage time as per their own convenience. This university is based in Sydney and it offers various short-term courses. These include Project Management, Business & Management, Marketing, Information Technology, Arts & Humanities and Horticulture & Gardening. Regarding Project Management, it offers PMP and CAPM Courses as PMP Certification Sydney options. In the PMP Training, 3-Day classes are conducted at 1,108 AUD. But it only gives 21 PDUs instead of 35 PDUs which are required to apply for PMP certification. It doesn’t provide the PMBOK Guide which is the main reference guide required to prepare for the PMP Exam. Also, it doesn’t provide a full money back guarantee. Moreover, the classes are conducted on weekdays from 9am to 5pm. So, they do not offer flexibility in timings and makes difficult to manage with work. The PM-Partners group have worked with private and public sector organizations for over 20 years. Yes, PM-Partners have the industry exposure in Sydney, but being a PMP Training Sydney provider is not their core business. They also cater to resourcing, PMO transformation, Managed Services, Organization Change Management, PMO Frameworks, Capability Assessments, Business Analysis, Agile SHIFT & SAFe. It offers a 5-day PMP education covering project management fundamentals on day 1 and day 2. Then applying the knowledge, the experience of project management in a practical way in order to help an individual to build competency and enhance skills. However, it will not train the aspirants on standard format of PMBOK Guide required to prepare for PMP Exam. PMP exam fee for PMP Development Program is 2,695 AUD which is quite high. This PMP training Sydney provider is also not giving any assurance in passing percentage as well refund offer. This is a consultancy firm is founded in 1999. It is a program management training and consulting organization that provides project-related services across the Asia Pacific Region. However, it conducts training through other organizations such as the University of Sydney Center for Continuing Education, The Regional Institute for Asia and the Pacific to offer public courses. Besides it caters to PMO setup, Risk Management and Business Case preparation apart from Training in Project Management. As a PMP training Sydney provider option they offer 2 courses. The first course is named Project Management Essentials and it provides an overview of project management for beginners’ level. The second course is named as Project Management-The Complete Guide. This is an advanced level for experienced professionals. It will enable professionals to enhance their skills as a project manager. They are not focusing on PMBOK Guide in terms of how to get PMP certification. They are conducting training programs in classroom mode in which you have to juggle between your office and trainings. So it’s better to opt for online mode to learn at your own pace. This is a consultancy company providing services on Project Management Software, Systems Engineering Software and Information Technology fields. Its focus is not only in project management. As a PMP training Sydney provider, it conducts a training in classroom mode which might not fit your schedule as compared to online self-learning mode which is more flexible. This training organization in Sydney focuses not only on Project Management but also IT service Management, Big Data and Quality Management. It offers courses in a traditional classroom, self-learning and live online class mode. Location of the center in Sydney is not very approachable. 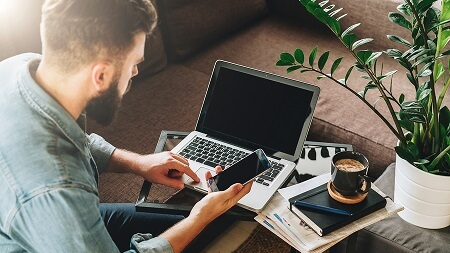 Videos in Self-learning mode cannot be downloaded on mobile so one has to depend on internet connectivity. This is always a dependency that needs to be taken care of. This PMP certification Sydney training option takes place at Grey Campus and will cost you up to 2,604 AUD, which is very costly. This is another PMP certification Sydney training provider which conducts training in IT Service Management, Project Management, Quality Management, etc. They offer instructor-led live online training in PMP so it is still sort of a classroom. You need to be available according to timings of the instructor who will be delivering the training so you cannot learn at your own pace. It has more flexibility as compared to classroom training but less as compared to online self-learning mode. This PMP training Sydney option charges 1,625 for the course. They claim success ratio as 98% but no offer of full money back guarantee. On the other hand Master of Project Academy which claims its success ratio as 99.6% and it is more affordable in price with robust content. PMI Sydney Chapter’s purpose is to support the professional growth of members, corporate and communities in the area of project management in New South Wales. This PMP certification Sydney provider conducts chapter events for professional networking, knowledge sharing and training sessions with a discounted price for PMI members. PMI Sydney Chapter offers a 4-day course (2 weekends) for preparation for the PMP exam. It is conducted in classroom mode. The cost of this PMP Training Sydney is 2,050 AUD. But, if you are a PMI member then you get some discount and cost will be 1,232 AUD. They do not offer any online self-learning mode preparation course. Timings for the course are 8.30 am to 5.30 pm on weekends so it may not fit your schedule. It is a classroom mode course which is not flexible as compared to self-learning online mode. Once you have completed your PMP training and studied thoroughly, you must feel prepared to go for the exam. So then you must schedule your PMP exam in Sydney. There are several PMP exam Sydney test centers. 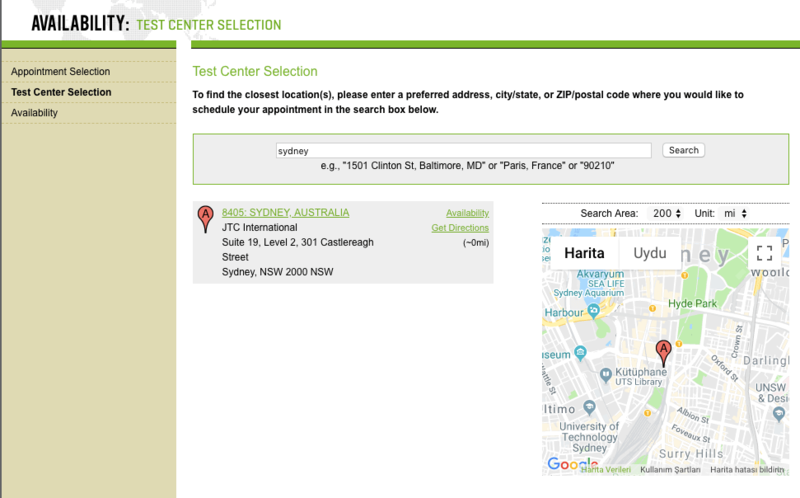 You can locate the nearest PMP exam Sydney center from the Prometric website, as seen in the image below. In this post, we have highlighted the major aspects of 10 PMP Certification Sydney options. There are multiple PMP training Sydney provider options. The cost of PMP classroom training starts at 900 AUD and may go over 2,600 AUD. Compared to them the online PMP Training options provide flexibility, you can learn at own pace and they are also cheaper in price. Online courses can be opted for as low as 500 AUD. In terms of price advantage, flexibility, and online access, we strongly recommend that you should take your PMP certification Sydney training in an online mode.